For students to succeed and reach their full potential, we must provide more support to educators. Today, we’re announcing our support for four programs designed to help teachers by responding to their unique needs, including their personal development, mentorship, and self-care. 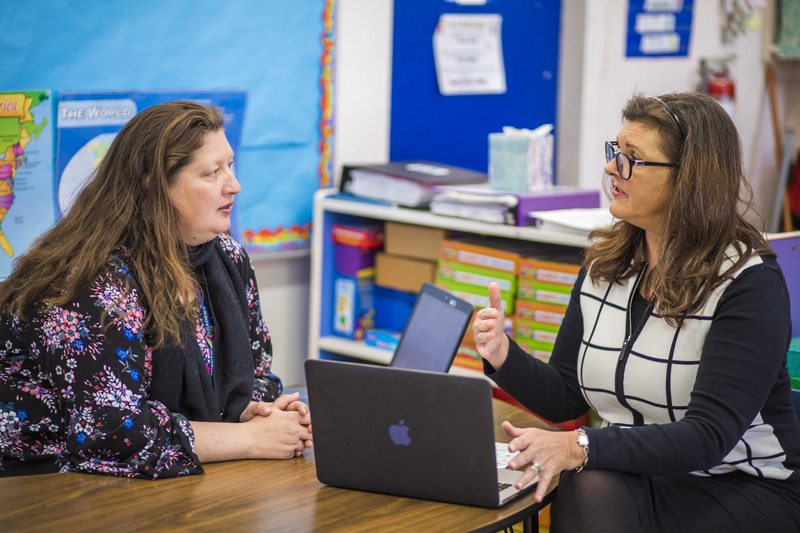 We believe that in order to effectively prepare students for the future and set them on their own pathway to success, teachers must also be able to learn, grow, and develop in their crucial roles. We’re partnering with Woodrow Wilson Academy of Teaching and Learning, a masters program, to help people studying to be teachers to learn at their own pace, personalizing their learning experience. Secondly, we’re supporting Dr. Matthew Biel of MedStar Georgetown University Hospital who is piloting evidence-based approaches to promote self-care skills, stress management, and emotional wellbeing for teachers in the D.C. area. Also, Dr. Stephanie Jones of the Harvard Graduate School of Education, is receiving support to research and develop simple strategies and classroom activities for teachers to easily incorporate social-emotional learning into their classrooms. These resources will enable teachers to select activities that best fit the learning styles, skill levels, interests, and goals of their students. And here in the Bay Area, we continue to support San Mateo County’s Ravenswood City School District as they aim to provide teachers with a variety of professional development resources, such as one-on-one mentorship with seasoned education leaders, pictured above at Brentwood Academy, and group sessions to discuss best practices and techniques. For each of these organizations, the goal is giving teachers the resources they need to lift up every student and help them reach their full potential. We’re proud to stand behind their work.